RANtoCore | VIAVI Solutions Inc. Fulfilling the potential of the evolving 4G and introduction of 5G will require an innovative and dynamic approach to network architecture in order to support all the proposed uses cases. The industry is preparing to converge the Radio Access Networks (RAN) and the Core networks to bring processing functions and resources closer to the user, in order to reduce latency and traffic load, and increase bandwidth on the network. Rigorous testing through the development phase of this new environment is vital to the success of commercial deployments. 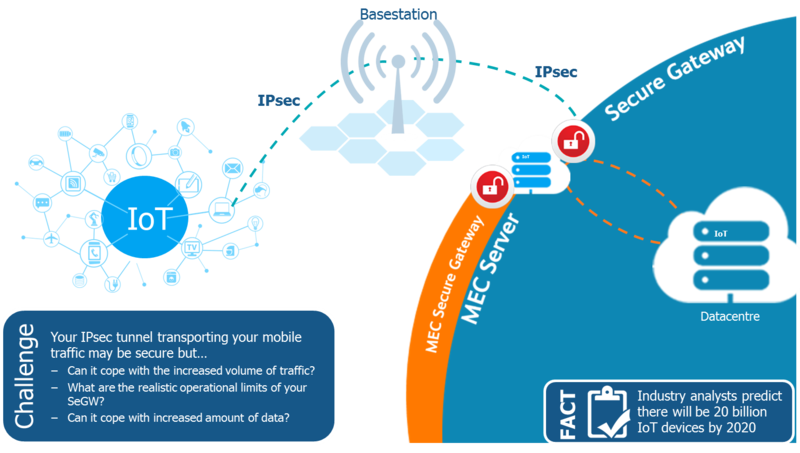 Our TM500 and TeraVM offers a complete end-to-end test solution from RANtoCore™, simulating real-world traffic and ensuring networks are robust enough to cope with the complexity and demands of devices and traffic at scale. 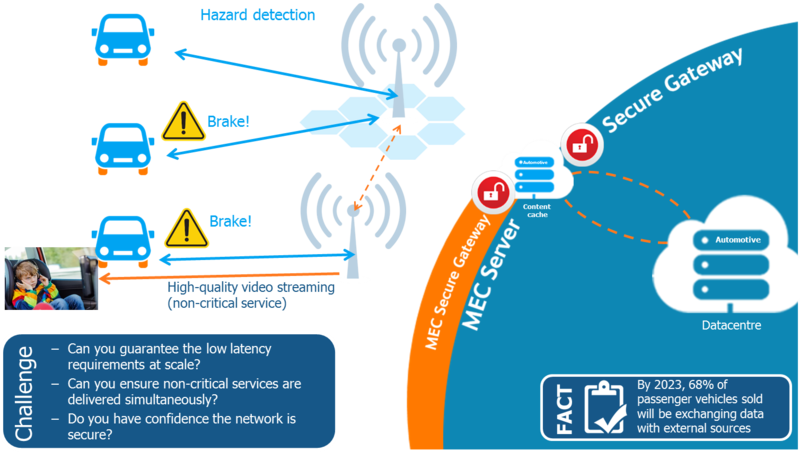 Only through the use of a complete end-to-end RANtoCore™ testing and validation solutions will you be able to gain a complete overview of the network and how it will perform under the demands of real-world traffic scenarios. Ensuring the network is able to support the latency and reliability requirements for the connected car vision to become reality. Using a conventional network architecture with a distributed and remote core network could add significant delays as well as large volumes of traffic through the network. “Guaranteed service” – information such as braking to avoid a hazard is safety critical. The system can’t accept the equivalent of a dropped call. Communications need to be secure. No risk of being hacked and e.g. accelerating when needing to brake. Users in the vehicles will also be consuming other services e.g. video, voice calls. Edge-based context sensitive information may also be provided to the user. It is critical that such services do not impede the high priority/safety critical information that is essentially carried over the same RF link. Scale on all levels: Number of User, Amount of Data, etc. Mobile traffic from the RAN to the core requires a secure connection to prevent cyber attacks on both the RAN and Core network. Delivering 4K video to consumers with confidence. Does the MEC video optimization really work under real world conditions and scale? Test engine generates variable UE traffic load with mix of real world voice, video, data apps. 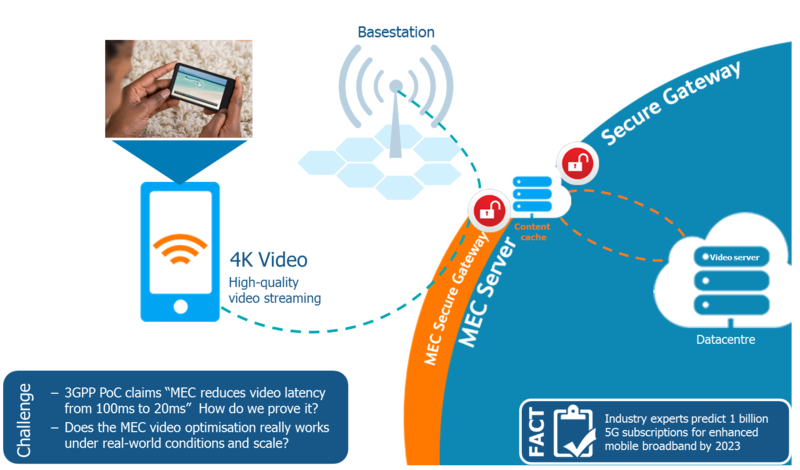 Those changes should cause the MEC optimized video application to respond accordingly..